Melton Mowbray is situated in the centre of the Vale of Belvoir - so what a great way to sample what the Vale has to offer? Large and mini authentic Melton Mowbray Pork Pies (from Dickinson & Morris of course), delicious Blue Stilton and Rutland Red Cheeses with Walnut, Honey & Olive Oil Crackers and Caramelised Red Onion Chutney, Sparkling Elderflower Pressé from Belvoir Fruit Farm and a rich moist fruit cake in the guise of 'Melton Hunt Cake'. If you are still feeling peckish there's 6 thick pork Dickinson & Morris sausages too! 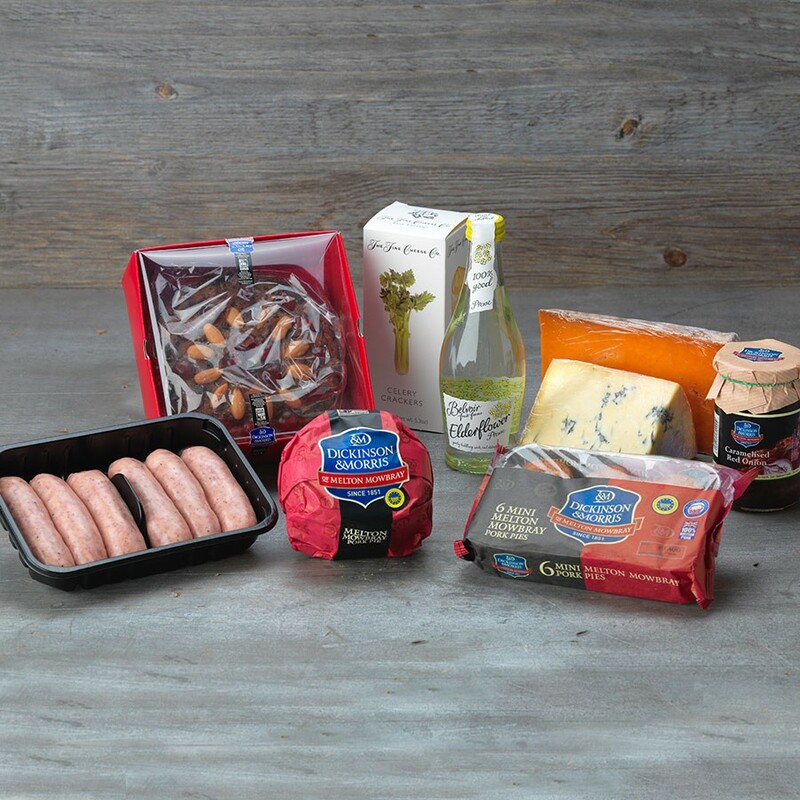 Our Vale of Belvoir hamper, as it contains perishable items, is presented and despatched in an insulated box. Please note this hamper contains NO ALCOHOL.